In the 21st century, art is closer than ever to science. Science has become an extremely popular subject in our lives: we chat about chemistry and biology for food, physics for physical activity, while sociology and psychology are informing the whole communication sphere, and mathematics and logic are involved in managing time and tasks. Moreover, most of the recently proliferating educational ‘science centres’ have apparently embraced a shared mission to address an adult public through new art programs. In this scenario, knowledgeable literature is essential and Ciencia Abierta belongs to this category. 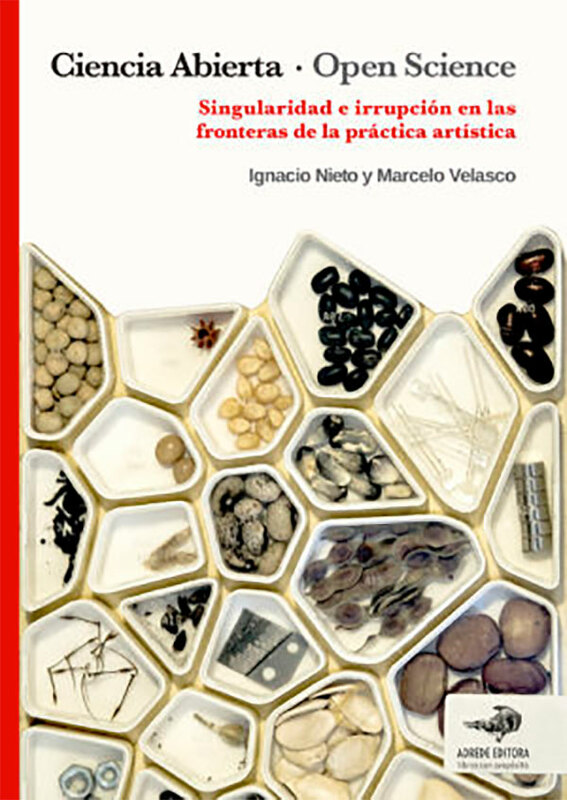 Nieto and Velasco here concentrate on artists using scientific methodologies to produce their artworks, fostering them to do “experimental science with their own questions, methodologies and results distinctly based on their position as artists”. The book programmatically examines artistic work “performed in a scientific context”. The relationship between art practice and scientific methodology producing controversial results is amply discussed here, conceptually shifting the boundaries of both the fields and opening a new hybrid scenario. Five artists interviews are included (Dmitry Bulatov, Susana Soares, Rachel Mayeri, Gilberto Esparza, and Perdita Phillips), with their answers combined in a single dialogue. Their works and opinions form a solid structure onto which the authors build a challenging and finally modern discourse on science research and impact, letting art fruitfully break the self-imposed constrains of academia.